Butterfly: Last one to the old maple tree is a rotten egg! The goddes has a ‘ what the f*** ‘ look on the last panel….. Not a good sign, is it? Because let’s face it. 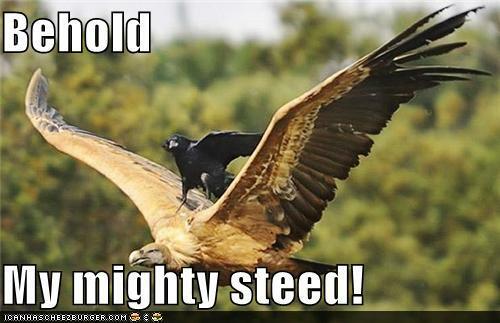 Who doesn’t feel like challenging a God to a race when you’re riding an eagle? Bufferfly is lucky her god, being the goddess of raccoons, likely will approve of such trickery. Anyone else hearing the reading rainbow song after seeing this? Next: See-Kay grins, and when Butterfly reaches the tree she’s already waiting for her.